Any help is SO appreciated, I need this to go up in the next few days so chat away! I need multiple titles for each state so duplicates are fine. THANK YOU!! This entry was posted in Library Displays and tagged library, Library displays, states, young adult. books. Bookmark the permalink. Hmm, I am thinking maybe you could say The Hunger Games was set in West Virginia as that seems most likely to be the specific state that became District 12. The Jessica Darling series is set in New Jersey. Eleanor & Park is set in Nebraska. 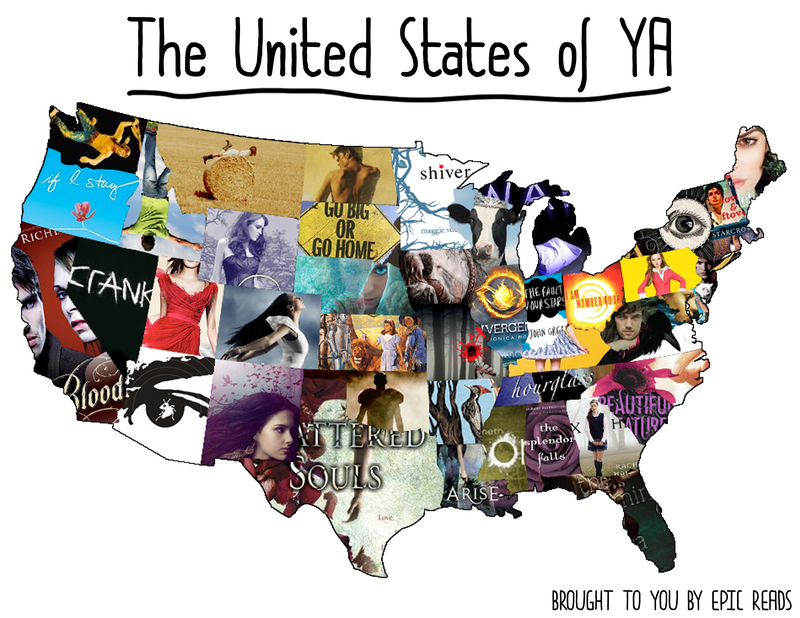 It kills me that I cannot think of books set in these other states! Queen of Kentucky by Alecia Whitaker! Great minds think alike! I’m doing a US of YA booklist/display next month.